STRENGTHEN, LENGTHEN TONE. 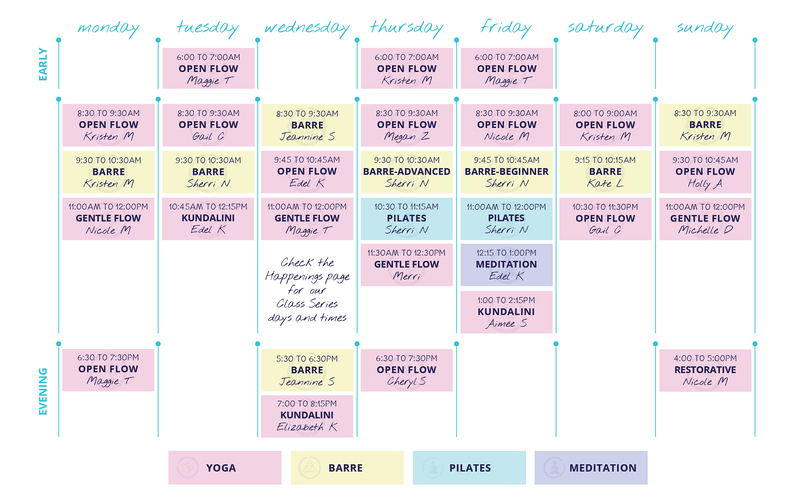 Balanced Barre is a fusion of Pilates, Yoga, and core work. Set to contemporary music using hand weights, the mat and the ballet barre, this 60 minute class will tone, reshape, stretch and strengthen you like no other. Mixed level class moves at a fairly fast pace but offers plenty of instructional cues and modifications. This class uses a relaxed sequence to find depth in accessible postures. The focus is on the breath while creating mobility in the spine, pelvis and joints. It is appropriate for all levels, is effective in stress reduction, supports injury recovery and has shown to dramatically increase flexibility without creating discomfort. All this leads to a deliciously deep relaxation, followed by a guided meditation. It is an excellent compliment to Barre, and the more challenging Yoga classes. 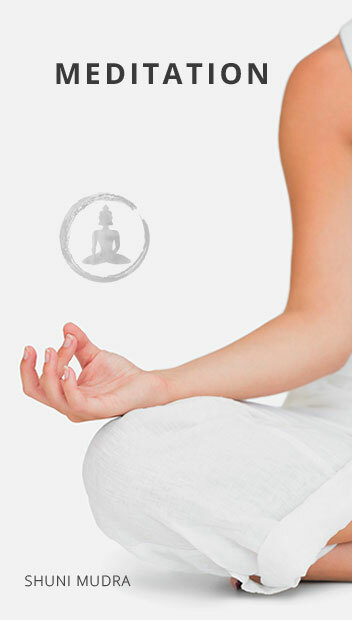 A modern system of yoga rooted in ancient, traditional practices. It works to strengthen and balance all the systems of the physical body, providing a range of benefits; including increased flexibility, expanded lung capacity, a strong core, and the alleviation of stress and anxiety. Kundalini Yoga involves the practice of a kriya — a series of postures, dynamic movement, breath, and sound that work toward a specific outcome. No previous experience necessary in order to achieve results with your very first class. Designed to accommodate students of all levels. It will help to tone your body while enhancing balance, core strength and flexibility. Movement is guided by breath using purposeful movement to progress in and out of poses. Emphasis is on reducing physical and mental stress in the body while building strength and confidence with ease. Various options are given allowing the practitioner to move at their own pace and comfort level. Pilates is a system of exercises that focuses on creating a stable core which allows and promotes mobility in the rest of the body. It focuses on engaging the mind and the body together to create exercises that involve the whole person. Pilates principles include breathing, concentration, control, centering, precision, whole body movement, balanced muscle development, rhythm/flow and relaxation. Mat class will include exercises to strengthen all muscle groups, flexibility sequences, use of props such as the ball, small weights and bands, all integrated with the rhythm and flow of the breath. All ages and levels of fitness will benefit from this class. Feeling stressed or anxious? This is a good class for you. You will learn to focus on your breathing in order to become present. We will work with the breath in a way that allows you to be calmer and takes you out of the complexity of the mind. 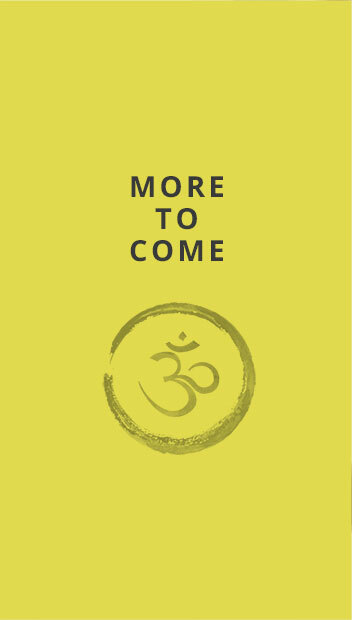 Learn how to live more consciously where you develop an intention specific to you, based on what you are personally encountering in your life as we dive into the many different meditation modalities and touch upon yoga philosophy. Give yourself permission to drop into stillness, to awaken your senses, and bring the body into further symmetry as you stretch and rest in full mind-body awareness. Restorative Yoga is a passive practice that uses a variety of props to support the physical body and encourage the central nervous system to relax. The postures are held in a way that releases muscular tension and expands the breath’s capacity to broaden while quieting the mind. Restore. Replenish. Reinvigorate. This innovative program offers kids the opportunity to combine creative movement with age appropriate yoga poses. Yoga and movement are integrated from warm-ups to cool downs; through music, storytelling, group problem solving, games, crafts, mindfulness exercises, and relaxation techniques. In a non-competitive atmosphere students are encouraged to develop self confidence, explore their inner creativity, and enhance brain development through the mind/body connection. We will explore a variety of multi-sensory activities that embrace the multiple intelligences, which allows each child to be successful, right where they are. Kids are invited to express themselves in their own unique and perfect way! Some of the many benefits include: body awareness, increase in metabolism, cooperative learning, creativity, self-control, and stress and anxiety reduction. 6 week series that provides an opportunity to build strength and flexibility as kids gain a deeper sense of body awareness. 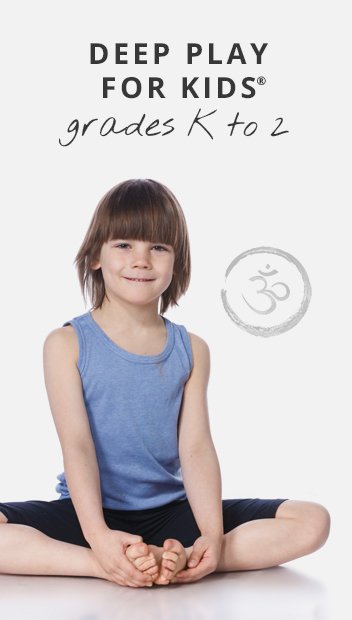 Flowing sequences, balancing poses, breathing exercises, and creative relaxation techniques are designed to promote a confident and empowered sense of self that kids can bring out of the studio and into their everyday lives. Journaling, along with co-operative yoga games, also inspire positive peer interactions and community. 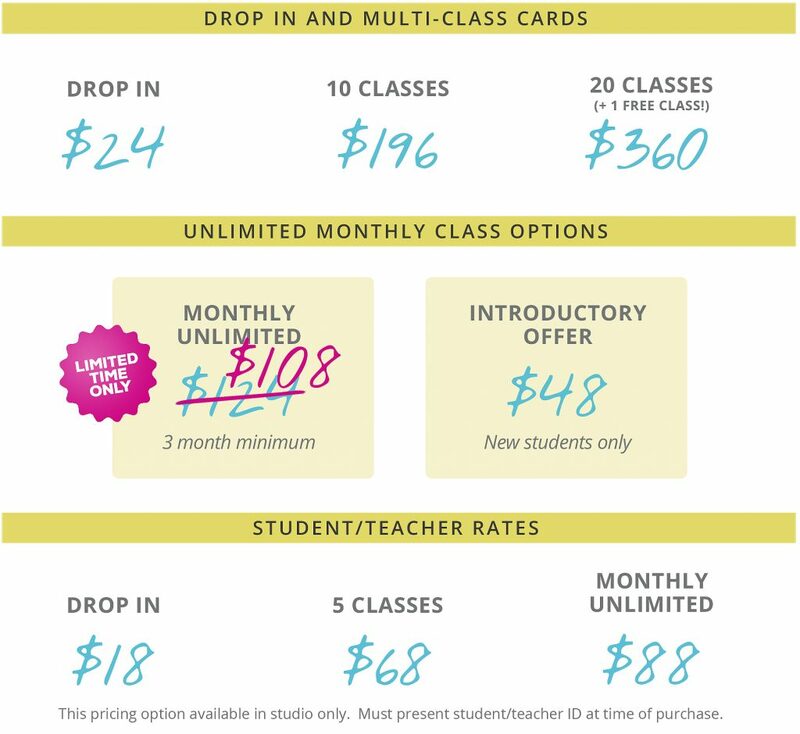 Become a Jarosa monthly card member, buy a class pack, or just drop in. Choose a membership option that works for you. Every class is your chance to find your core self. 5% of every 10 and 20 class pack will be donated to support recovery and growth of women living at the Bridgeport Rescue Mission Women’s Center. All series and Unlimited Monthly passes are non-transferable and non-refundable.